Is our day of creative life finished? 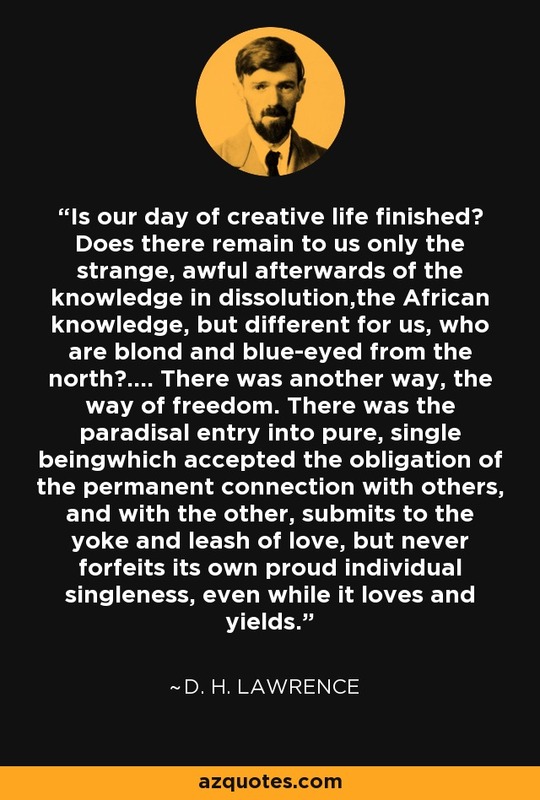 Does there remain to us only the strange, awful afterwards of the knowledge in dissolution,the African knowledge, but different for us, who are blond and blue-eyed from the north?.... There was another way, the way of freedom. There was the paradisal entry into pure, single beingwhich accepted the obligation of the permanent connection with others, and with the other, submits to the yoke and leash of love, but never forfeits its own proud individual singleness, even while it loves and yields.